Exactly two years ago yesterday I wrote that the threat of terrorism is essentially non-existent. 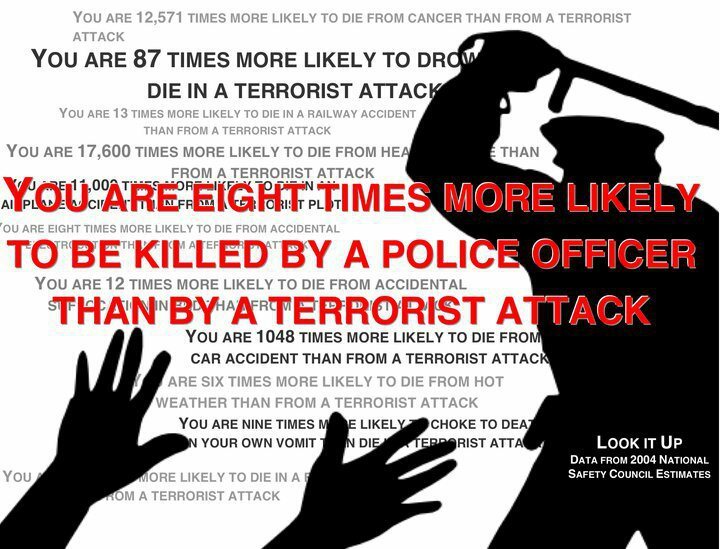 This is not because the Alphabet Soup Agencies are doing a spectacular job keeping us safe, it’s because even despite all the Imperial meddling around the globe, there just aren’t very many would-be terrorists. If the terror threat was credible, we couldn’t stop it. Not much has changed since then. In fact, there are so few actual terrorist threats (probably because there are so few actual terrorists) that the FBI has to manufacture its own terror plots, and then take credit for saving the day.